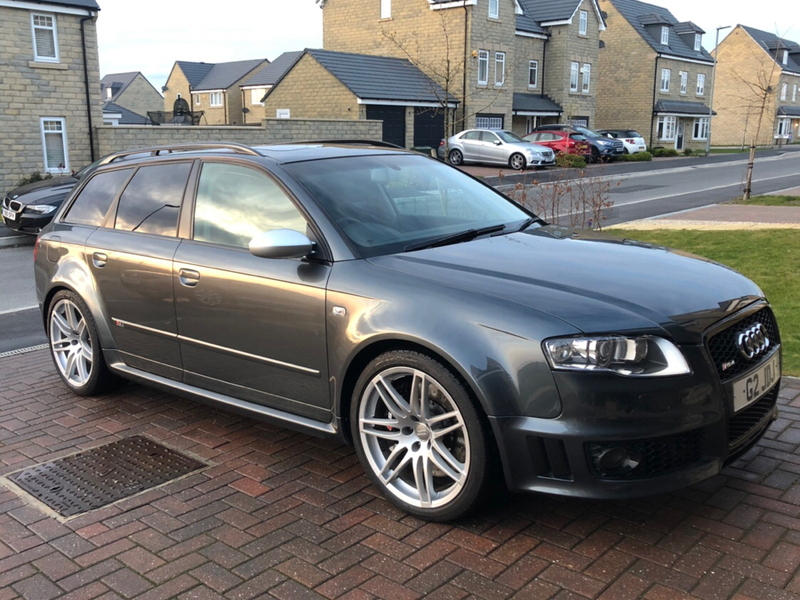 It’s time I said hello and introduce my new ride. 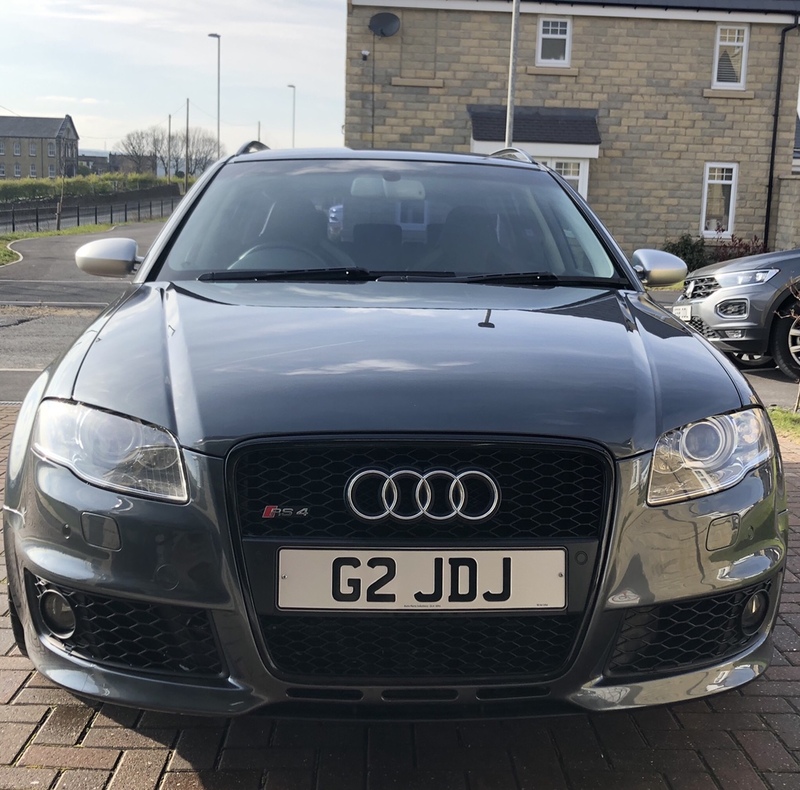 I sold the RS3 8V to get this and I’m loving it. 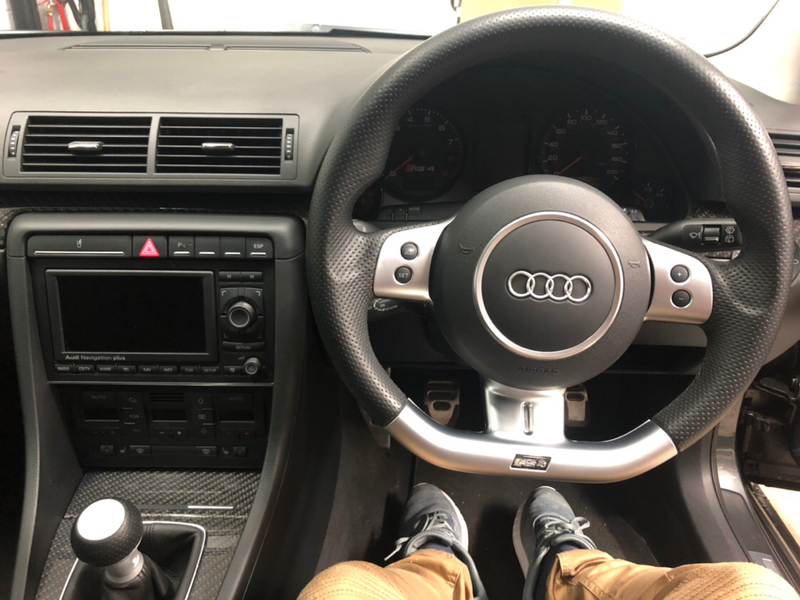 I use to have an R32 which I loved and this feels like an even better version on that. 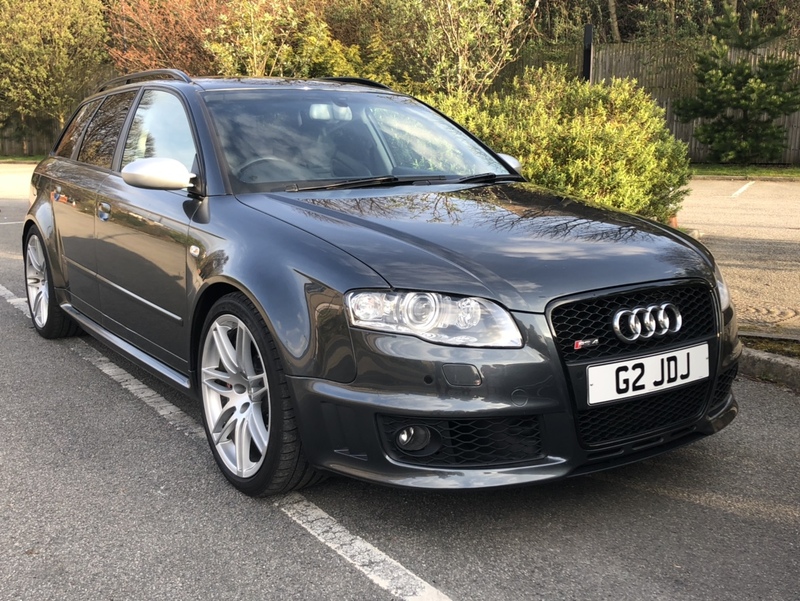 I considered the B8 but I wanted a manual again and proper steering. I just find it hard to get along with turbos and their soggy power delivery in normal driving. 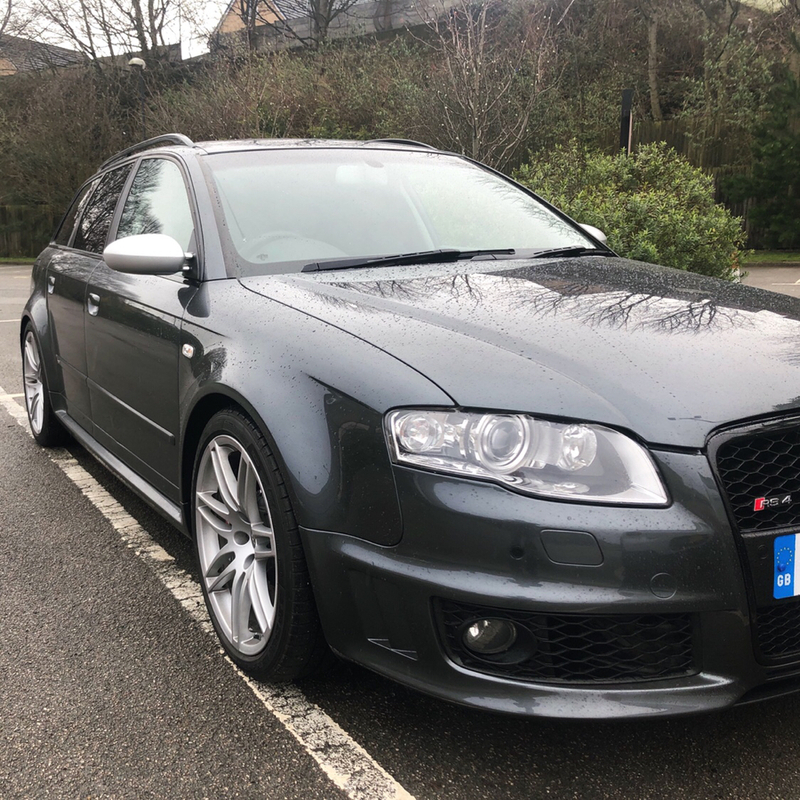 The RS4 feels like coming home. Anyone who knows me knows I’m OCD about my stuff. So this will be going through a restorative update as time goes on. First things first. 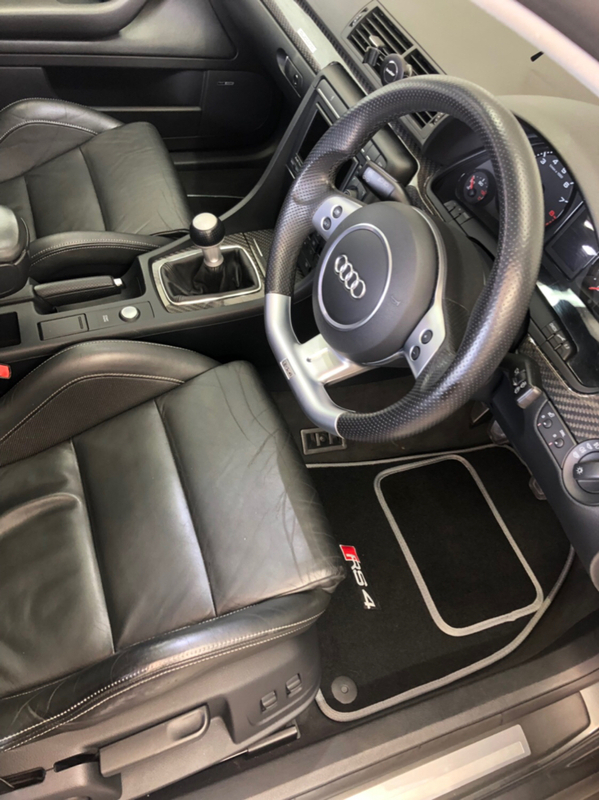 Interior scrub to get rid of all that horrible shiny look. Back to matt using magic sponge and G Technic Citrus wash. 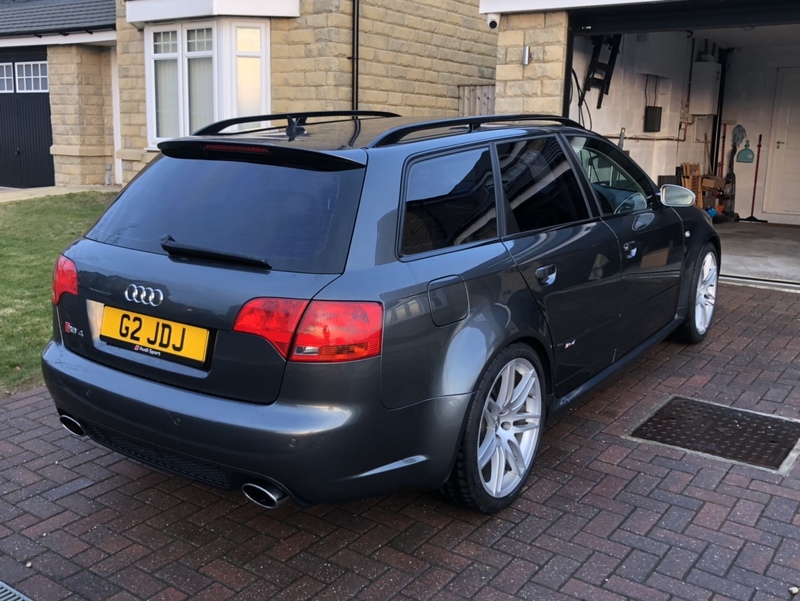 Followed by Audi plastic trim cleaner. 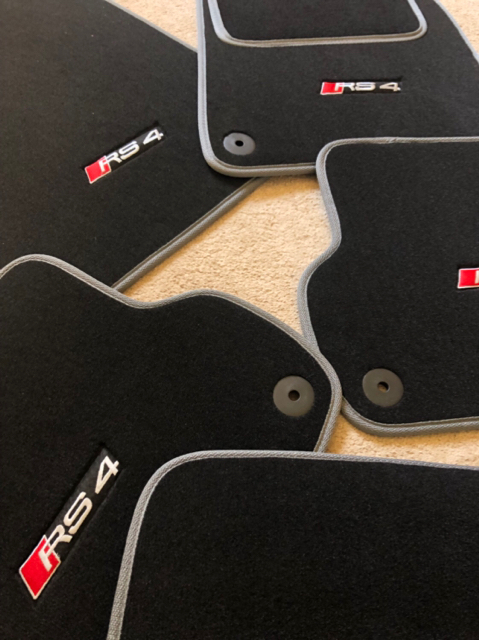 Then new RS4 mats and boot mat. Last edited by JamesBaby on Thu Apr 11, 2019 11:03 am, edited 1 time in total. Looks great. 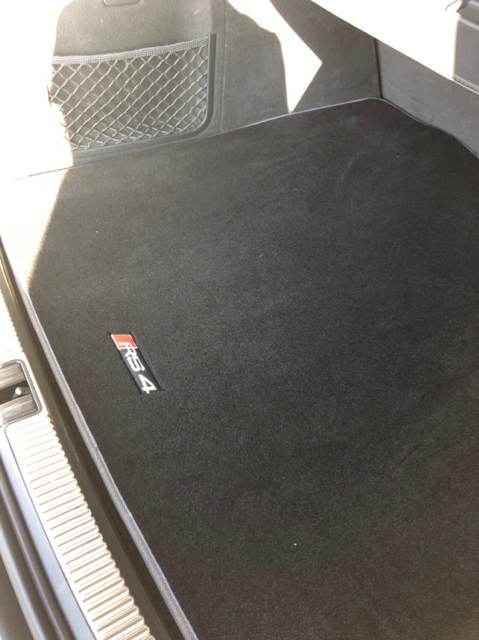 Where did you get the mats from? Look lovley mate Glad you found a nice 1. Mav8 wrote: Look lovley mate Glad you found a nice 1. I have more updates coming. The car was taken to Unit 20 for a health check. A distance for me but they have the tools for the DRC in case it was needed. of which has been replaced by previous owners, with proof based on the receipts in the service history. There were a few small things like an exhaust leak from the middle clamps, and number plate light bulb which I sorted myself. Here’s the car after s good wash. The front bumper sits too low so that is a priority job next. I changed all the interior bulbs to LEDs from EM Tuning site Sponsor. Great kit, well labelled and easily installed. Got rid of the yellow looking bulbs. Also did the puddle and footwell lights. I also got new rear number plate reflectors and replaced the rear bulbs with the LEDs. Great kit from EM Tuning again, it comes with better Torx type screws rather than Philips head which just strip easily due to the angle of installation. The leds make a big difference, one of the first things I did. Looks lovely, very similar (colour and spec) to mine. Enjoy it. I tried the Twenty20 Cree LEDs and they didn’t work. 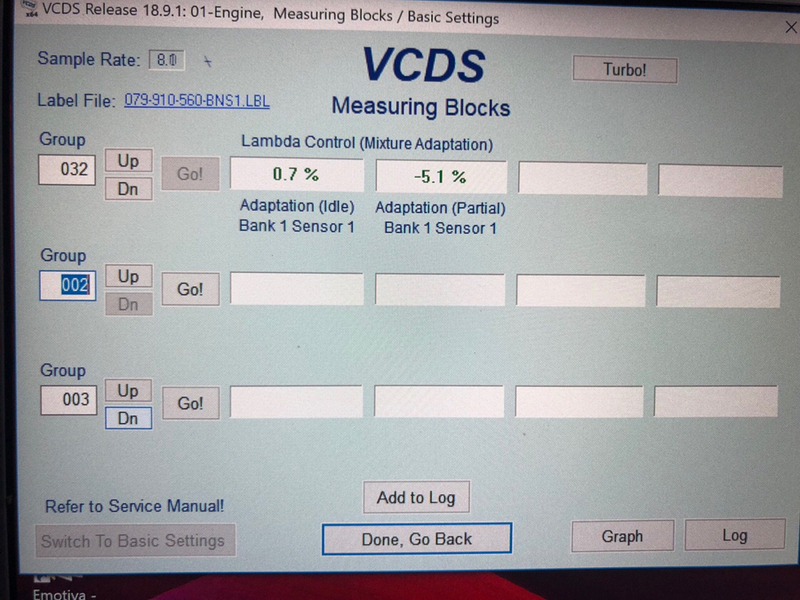 Constant Canbus errors despite the Canbus ready spec on them. Changed to a set available on eBay from weSellHids for £39.99 and they worked perfectly. The DRLs can be changed without removing the headlamps but its tight, painful and fiddly. I removed the headlamps as I had to reseat the front bumper anyway. The bumper wasn’t sat on the correct part of the adjuster. It has to be slotted ‘between’ the two screw parts. I read up online about how to do it and managed to get it right. You can see the 1cm or more gap in the earlier pic. Here is the spec of the gaps between the panels courtesy of an RS4OC member. 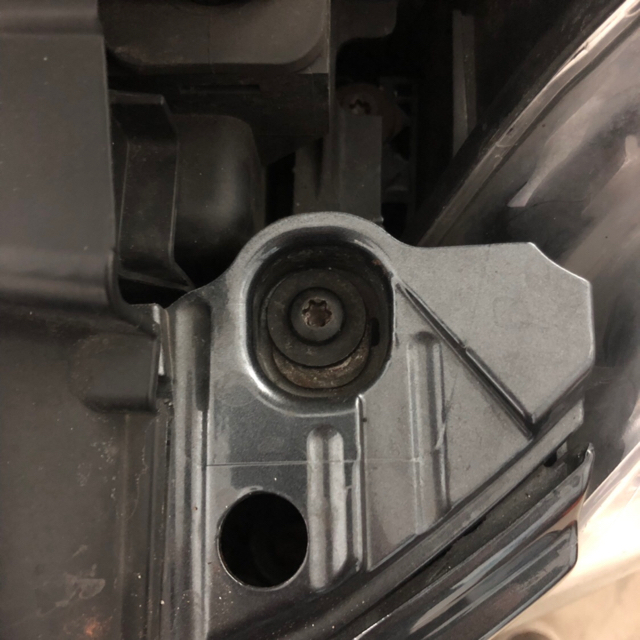 So 4.5mm gap between bonnet and bumper. 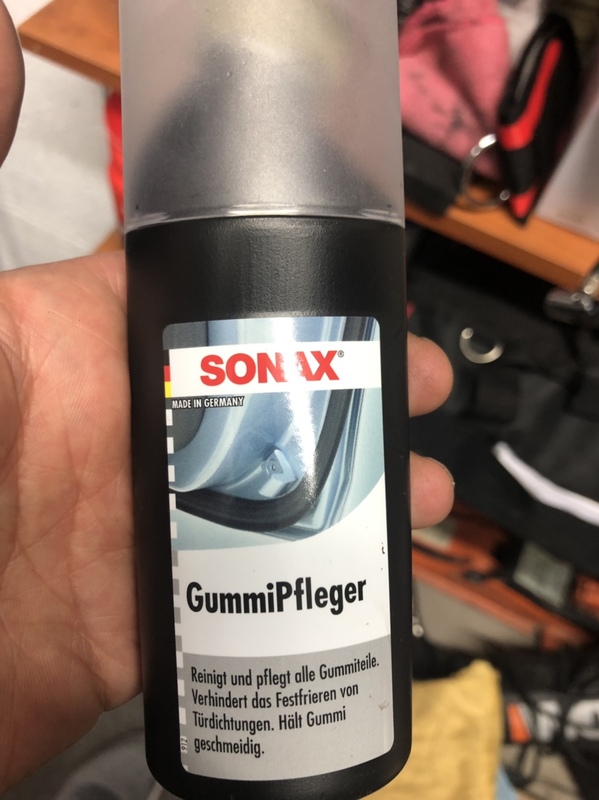 So I got some of this Gummi Pfleger from Amazon. 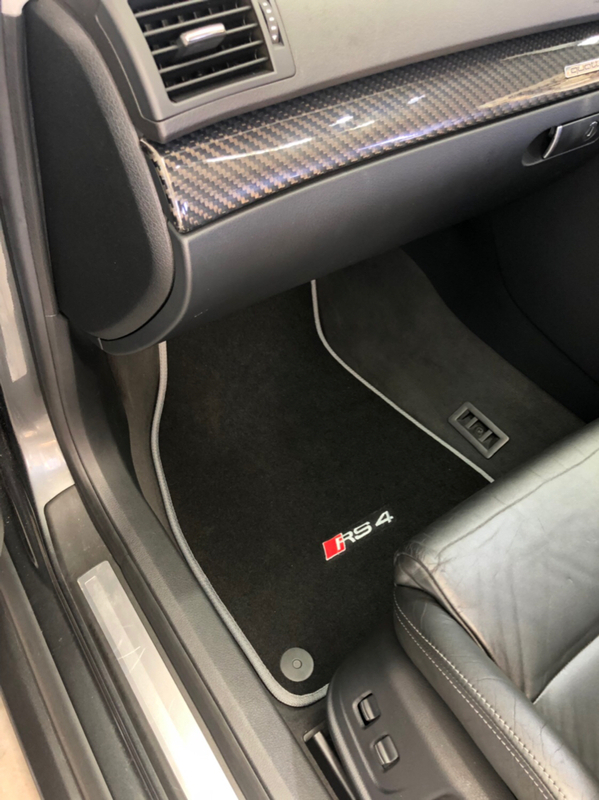 It’s for the rubber seals around doors and bonnet etc. The rubbers get hard in inflexible over time. This causes them to not seal against wind properly and cause squeaks and noises over poor roads. This revives them and helps them return to their original shape. They work better. I simply cleaned the seals with detergent and cloth. Then rubbed this in with the included application head. I left it to dry and now the seals feel supple and like new again. The gap between your bonnet and bumper looks great. I’m going to get mine adjusted by the body Shop when it’s in for some work. FrazerD wrote: The gap between your bonnet and bumper looks great. I’m going to get mine adjusted by the body Shop when it’s in for some work. It’s not easy to sort. You have to ensure the adjusters are working ok. The headlights also have similar adjusters. 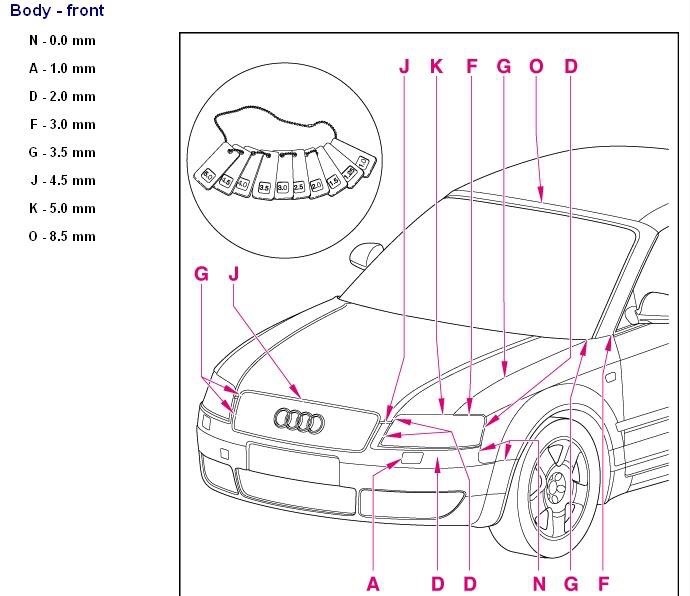 once you’ve set the bumper height the headlight adjusters move up to meet the new height of the headlamps. Then there’s adjustable nuts under these screws/bumper tabs that need adjusting up to meet the bumper too. It’s best to ensure the sides of the bumper are properly clipped in and seated correctly. Then adjust the height. I clipped them in after I got the height sorted so my side gaps are now not perfect. So I’ll sort that next time I have the bumper off. Also get some of this to spray on all your oil cooler joints and pipes. Keep any corrosion at bay. 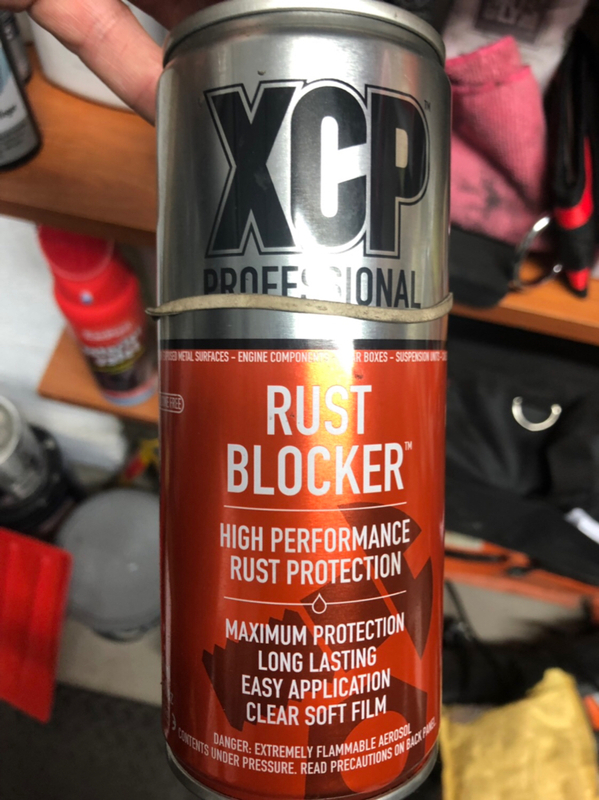 I got some after I saw a comparison video online of various rust preventers. This was incredible in that test. So I changed the mass air flow sensor to a brand new unit. These sensors deteriorate over time and well worth doing. Bosch are the original manufacturers and it’s available from Opie Oils for £70 rather than £125 from ECP or £265 from stealers. 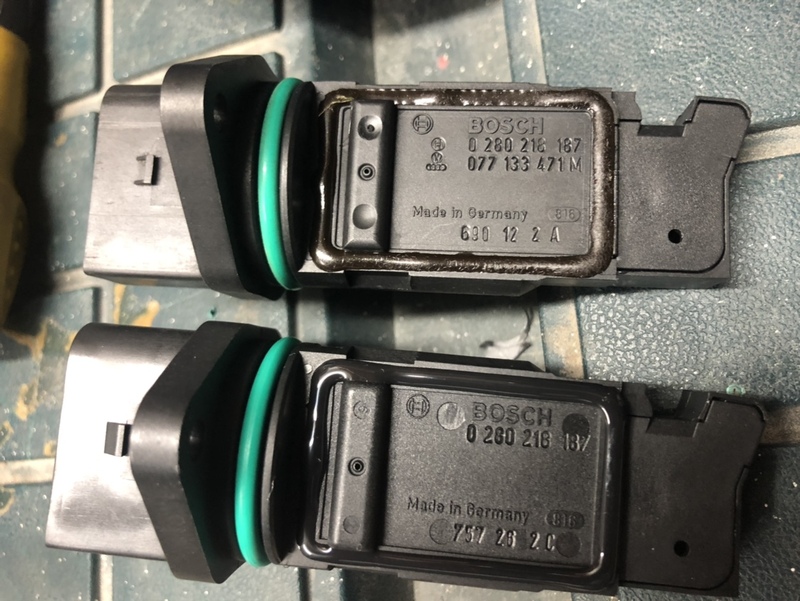 Search by Bosch part number 0 280 218 187. If you have idle hunting or fuelling issues it’s well worth replacing. I had both banks running slightly rich. 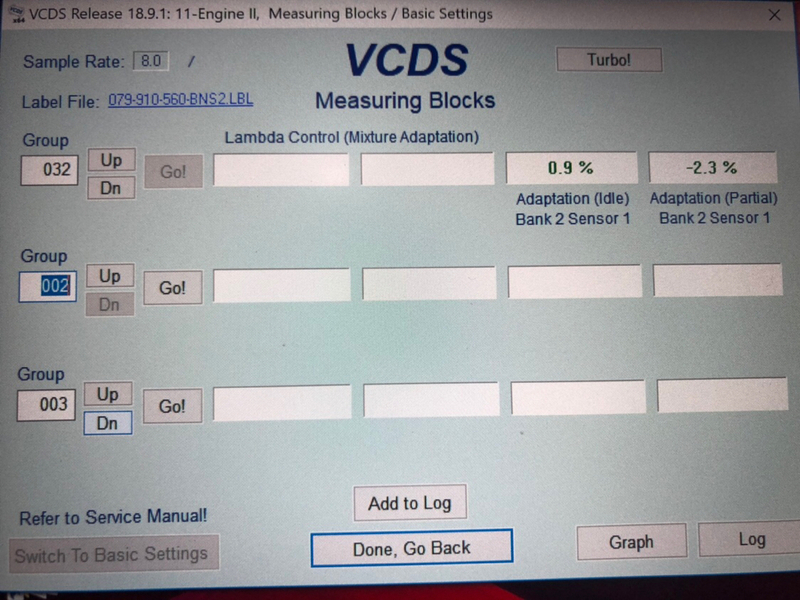 Within limits of Ecu ability to adjust it so I had no errors or codes. But occasional idle instability and fuel smell. Initially both banks were showing approx -7% trim on partial throttle. So it was pulling fuel as it thought it was running rich. I did have an exhaust leak which I’ve fixed with new clamps. Then with that and the new Maf the values reduced to -5 and -2. I also added a fuel system cleaner. I’ll post up more results and details after more driving but it’s driving lovely now.